The Church’s Big Problem of Discipleship . . . and Mine Too! Post by Pastor Tim. I’ll cut right to the chase . . . the church is failing miserably at discipleship. Thankfully, this doesn’t apply to all churches, but I’m afraid it may paint a pretty accurate picture of many churches within North America. I was struck by this truth as I attended a recent service at a large, well-known church in our area this past year. As we walked into the church, we were whisked away to a large room with snacks for the adults and crafts for the kids. This was where we were greeted by friendly volunteers, and where we received the welcome packet to end all welcome packets. Once in the sanctuary, I was struck by the beauty of the décor, the grandeur of the large choir, and I was intrigued by the artist stationed at the front of the sanctuary with a large canvas. Ultimately, the music was pretty cool, the technology was up-to-date, the children’s sermon was funny and the service was broadcast around the world! Oh . . . and the artist’s final rendition related to the main point of the pastor’s message (he painted throughout the whole service). There is nothing necessarily bad in what I recounted above, but I was disturbed when I began to realize that this service did nothing more than tickle my fancy. Simply put, it made me feel good, but it did nothing to help me grow in Christ. This is not just the institutional church’s fault, it’s actually my fault as well. Throughout the course of my Christian walk, I’ve been more enamored with contemporary Christian music, Jesus breath mints, and which NFL star thanked God, rather than ensuring that I’m not the foolish man talked about by Christ in Matthew 7:24-27. As a whole, we have focused too much on the fluff, the feeling good and appealing to the un-churched that we forgot about the high-cost associated with following Jesus (Luke 9:57-62). Admittedly, some churches stay away from the fluff, but even when a church is focused on good things such as Bible study and prayer they may still miss the mark of truly learning and growing in Christ. Tim Keller points to this when he says, “Modern discipleship programs concentrate on practices such as Bible study, prayer, fellowship and evangelism and can at times be superficial when it comes to doctrine.” In other words, long-tenured Christians often don’t even know the foundational doctrines of what they believe! Essentially, a disciple is a person who learns to be like Jesus and learns to do what Jesus did. But if our eyes are on the flashing lights, the cute sermons and the latest Christian gossip then we’ve failed to be properly grounded for discipleship. My family has taken this “grounding” seriously. One way that we’ve done this (and I’d challenge you to do the same) has been the memorization and understanding of the Nicene Creed, the Lord’s Prayer and the Ten Commandments. It certainly doesn’t sound too flashy, but then again we are trying to stay away from the flash and the fluff and instead commit ourselves to being disciples! 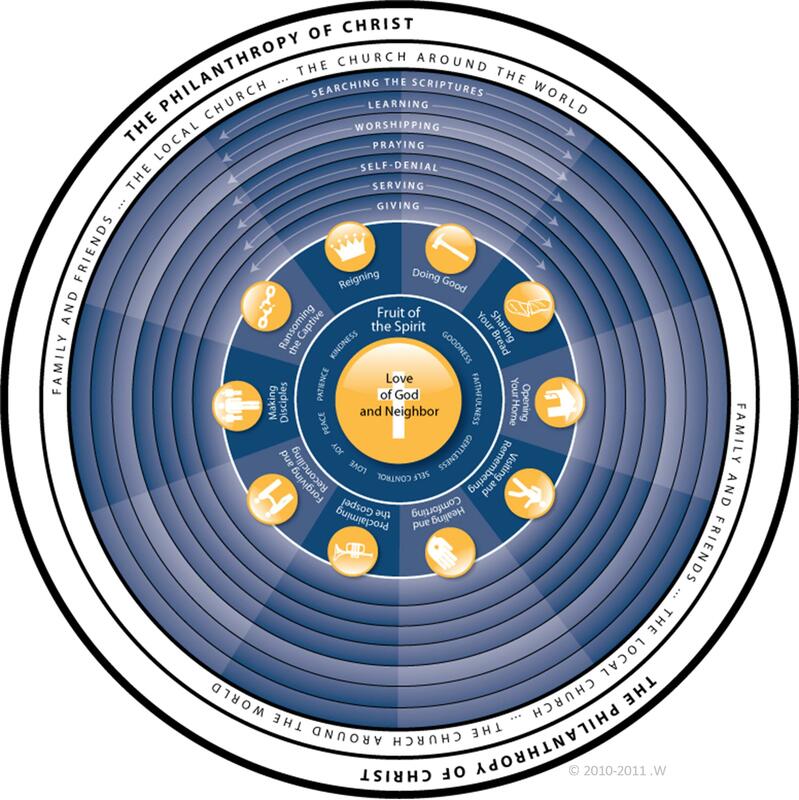 This entry was posted in Preparation, Uncategorized and tagged Discipleship, Nicene Creed, problem of discipleship, tim keller. Bookmark the permalink. 4 Responses to The Church’s Big Problem of Discipleship . . . and Mine Too! Some excellent insights on moving beyond entertainment to getting down to basics.